It’s your dad’s weekend. He buys a large meat pizza and a six pack of root beer, the kind that comes in those bottles that make it look like real beer. You convince him to rent a VHS tape from the grocery store. He lets you pick and you chose a direct-to-video Golan-Globus ninja flick. It’s the coolest thing you’ve ever seen. Before your father returns it, you watch it 32 ½ times: reading the credits, memorizing dialogue, and mastering when to hit pause for the best look at the hot redhead. On Monday, after your mom’s new boyfriend drops you off at school, you tell all your buddies about it: a samurai sword in the hero’s uncle’s pawnshop leads to an international showdown with ninjas and yakuza (you explain that’s the Japanese Mafia and your friends nod in awe) and they must have used real ninjas because no one could fake that stuff. You leave off the part about how someday you want to marry that redhead. You never forgot that movie, but are convinced you’ll never seen it again….until your wife gives you the newly-released Blu-Ray for your birthday. You thank her profusely and tell yourself again that marrying her was the best thing you ever did, which makes it easier when you watch it and you break down in tears because it’s the worst thing you’ve ever seen and what happened to the movie you remembered!?!?! 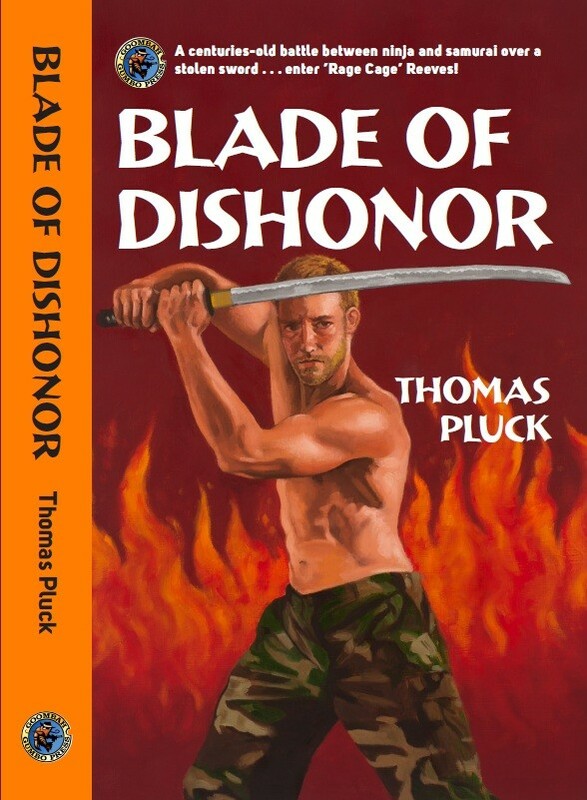 Until now, and you can thank Thomas Pluck.